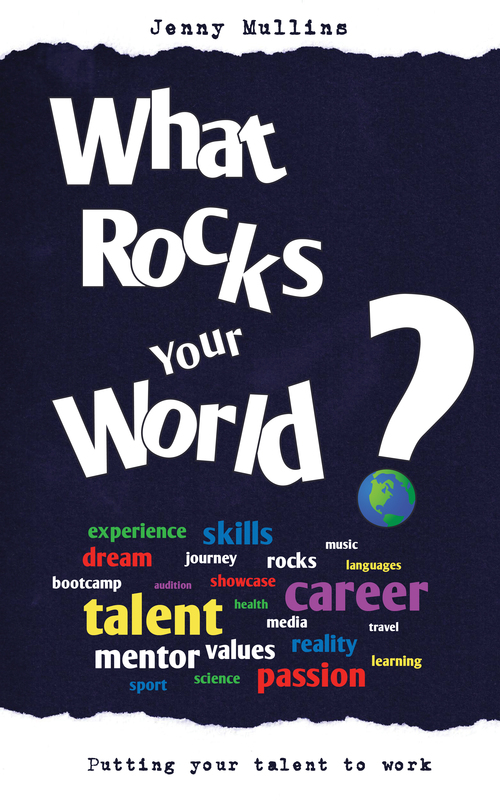 What Rocks Your World – careers guidance for young people. Did you dread the question that all relatives ask at some point? Personally, I hated it. I felt as though I had to give an answer that showed that I had already thought about it – a definite idea that met with everyone’s approval. The truth was that I really didn’t have a definite idea at all. I didn’t want to say just anything. But the scary fact was that I couldn’t really describe what I wanted to be. However, I was very sure about what I didn’t want to do. I wasn’t very good at science and I wasn’t interested in building or making things. In fact, I knew I wasn’t a ‘things’ person at all. I knew that I liked people, but that was way too vague. I didn’t want to be a doctor or a nurse, and I didn’t think I wanted to be a teacher. Beyond that I just wasn’t sure. I enjoyed English, History, RE, researching and writing – just getting under the skin of people. Could I have a job where I got to help people, talk to them, try to understand them and encourage them too? I was 22 years old before I started to wrestle with where I was going next and began to take some steps forward. I certainly didn’t know what I wanted to be when I was choosing my options in year nine…or when I chose my work experience or even when I applied to University. But looking back, I had made some good choices along the way…or did they choose me? Some people had very specific ideas…others knew that they wanted to do something…others worried because they had absolutely no ideas. What they all had in common was that they knew that they were on a journey of discovery. Destination unknown for some: destination clearer for others. Here’s some re-assurance. This book isn’t about setting out your career path for you and it certainly isn’t about telling you what you should be or what job you should take. But it is about encouraging you to generate your own ideas. Look around. Get on the internet. Talk to people. Keep your options open. Believe that there are many things that you can potentially do. Take the pressure off yourself to give an exact title to what you want to do. If you do know, then that’s great – but there are many other related ideas that you might want to explore. This book will explore the various options that are open to you and guide you through the process. Are you ready to find out what rocks your world? The book is available to buy from Amazon as a print copy or ebook.